This is the hardware required to install a square shade sail to any structure, tree or pole. Having the proper hardware makes installation so much easier compared to doing it yourself and purchasing a pre-made hardware kit makes life so much easier for YOU!. 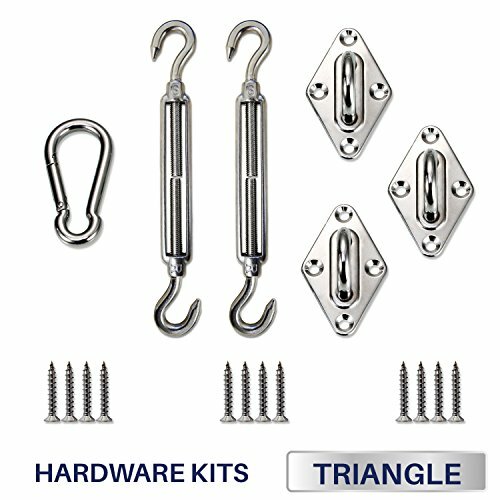 Hardware kit for triangle sun shade sail, everything you need to hang a shade sail. Adjustable turnbuckle to create tension. If you have any questions about this product by Windscreen4less, contact us by completing and submitting the form below. If you are looking for a specif part number, please include it with your message.